Hope Foundation in association with the IEEE India Council and Women In Engineering Affinity Group, IEEE Pune Section has instituted the Pralhad P. Chhabria Awards from the year 2017, in memory of Late Shri Pralhad P. Chhabria, Founder President, Hope Foundation. These awards applaud academic and professional achievements of young women for their accomplishments in the areas of Science, Engineering and Technology. Late Shri Pralhad P. Chhabria always encouraged and supported education of young women. He firmly believed that women have always been far superior to men and have the ability to make whatever they get, greater and providing them with good education in turn ensures that they not only share their knowledge and skills with their family; but harness it for the betterment of the community and the nation. Receiving this award is a personal challenge and a just competition among all applicants. It is intended to push young women to reach their full potential and be the best; for themselves as well as for those they are associated with. These awards will transform the lives of young women and can play a critical role in their personal and professional development. Each award comprises of a prize of Rs.1,25,000/- (Rupees One Lac Twenty Five Thousand Only), a medal and a citation which is sponsored by Hope Foundation. Ms Shubhi Sareen, She has always been an ace student with top scores through her entire academic. She holds the First Rank at the departmental level with an aggregate CGPA of 9.82. She has organized as well as actively participated in various academic and co-curricular activities. 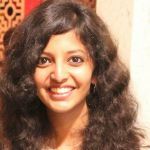 She is the Co-Founder and Chapter Head of Delhi Women in Machine Learning and Data Sciences. Shubhi has worked on different research projects and is highly appreciated by her professor for her ability to tackle complexities and pressure. Beyond academics, Shubhi has worked towards helping students through The Mentorship Program that allowed students to be paired with leaders in the field to enhance their professional development. Having won this prestigious Award, Shubhi would like to invest a part of this amount in her education and utilize the remaining amount to promote mentorship programs as well as dedicate a part of the money to chapters like Women Who Code – a platform that helped her grow and network during her undergrad. Her aim is to work together towards closing the gender gap in technology. 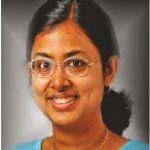 Dr. Rajlaxmi Chouhan, Her research interests include image processing, image quality assessment and noise-aided image denoising. She was awarded the National Award for Best M.Tech. Thesis in Electronics and Electrical Engineering in 2012 by Indian Society of Technical Education, New Delhi. Her current research on image quality assessment aims to quantify naturalness of an image and to develop online image tamper detection systems that potentially block spreading of misinformation online. She has published twenty-seven papers in international conferences and journals, and is currently supervising two doctoral students. Carrying out her duties with full sincerity as an instructor, a researcher, and an IEEE WIE member, Rajlaxmi strives to continue this endeavour by promoting the technical community in Jodhpur. The prize money would be utilized for the successful execution of (i) humanitarian activities including the outreach program for local girls schools that have limited resources and facilities to encourage girls to take up science as a career option; (ii) a primary educational program for children of workers in and around Karwad village (Jodhpur). This prize money would be a great catalyst in her efforts. Ms. Jayati Vijaywargiya has been declared the winner for “Best Outgoing Student”. 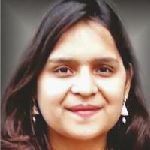 She is in the final year of B.Tech (Computer Engineering) at Mody University, College of Engineering and Technology, Madhya Pradesh. With consistent academic excellence, Ms Jayati has done her Bachelor Thesis in a research institute, GSI, Darmstadt, Germany. There she built a GUI to analyze and calculate relevant parameters affected due to Quenching in superconducting material. The physical model used for developing the Quench Calculation Software was a rod of Cu+NbTi insulated by a non- conducting material. She was also part of the GET Involved 3-month Summer internship there. Also, as part of the internship at DRDO, she made an object detector and analyser software on QT. Jayati has 4 research papers that have been selected to be published. Dr. Soma Biswas has been bestowed with the award of “Best Woman Engineer” (professional in early career). 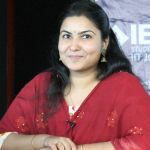 She is currently working as Assistant Professor in the Department of Electrical Engineering, Indian Institute of Science (IISc), Bengaluru. Dr. Soma’s primary focus at IISc is on cutting-edge research and teaching. She works in the general area of Computer Vision and Pattern Recognition with special focus on surveillance applications and cross-modal retrieval. She has also been involved as the Principal Investigator for many Government and private projects which are of national interest and has also mentored a few start-ups in her area of interest. She holds Ph.D. in Electrical Engineering from University of Maryland, USA. Dr. Soma has to her credit 2 patents and has published 36 research papers, of which 29 are in international journals and 7 are national journals.